Dr. Ahmad Baashir obtained his MBBS from Aleppo University Syria in 2004. Certificate of specialization in Orthopaedics and Trauma Syrian MOH, Syrian board in Orthopaedics. 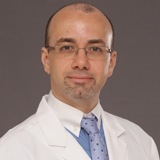 Dr. Ahmad Baashir has more than 11 years of experience with various hospitals in Syria, KSA and UAE. His key areas of interests include surgical and nonsurgical treatment of injuries and disorders of the musculoskeletal system including trauma of upper and lower extremities, Paediatric Orthopaedics, Joint Replacement, Arthroscopy, Sports Medicine, hand and upper extremity, foot and ankle surgeries. Dr. Ahmad is experienced in musculoskeletal ultrasound and pain management. He has presented papers in orthopedic conferences and he has featured in many medical TV programs. Dr. Ahmad is a member of Syrian Orthopaedic association. Dr. Ahmad can converse with his patients in English and Arabic.